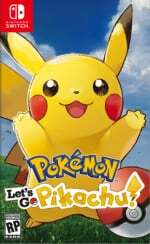 "Russians ﻿don’t recognise any other Pokémon but Pikachu"
Since the franchise’s beginning, one of defining features of the Pokémon series has been the policy of releasing two “different but equal” versions. However, it seems that in Russia, some creatures are more equal than others. Local Nintendo fans have noticed that, while they could easily pre-order a Nintendo Switch console with Pokémon: Let’s Go, Pikachu!, many retailers decided to not open one for the Eevee bundle. Some Russian stores have oddly decided to let people pre-purchase the Pokémon: Let’s Go, Eevee! with no guarantee they’ll get the version they want. One of them, 1C Interes, has confirmed to the local media there are indeed going to be more Nintendo Switch bundles featuring 'a more popular' Pokémon. We've heard this situation also applies to the bundles which include the Poké Ball Plus accessory. We’ll call that a mis-prediction of [Nintendo’s] regional product manager, who had decided Russians don’t recognise any other Pokémon but Pikachu. 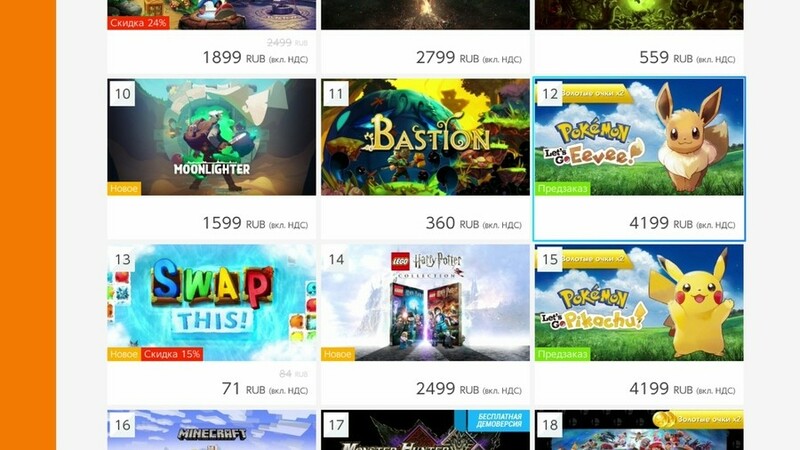 Incidentally, Pokémon: Let’s Go, Eevee is more popular amongst Russians choosing to pre-purchase digitally. At the time of writing, it sits three points higher on the local Nintendo eShop top-sellers list than the Pikachu version. Nintendo RU’s PR could not be reached for comment by the outlet reporting on the oddity. In Russia, Nintendo has a harder time marketing many of its games and franchises, as it cannot rely on a nostalgia as much as in other countries. 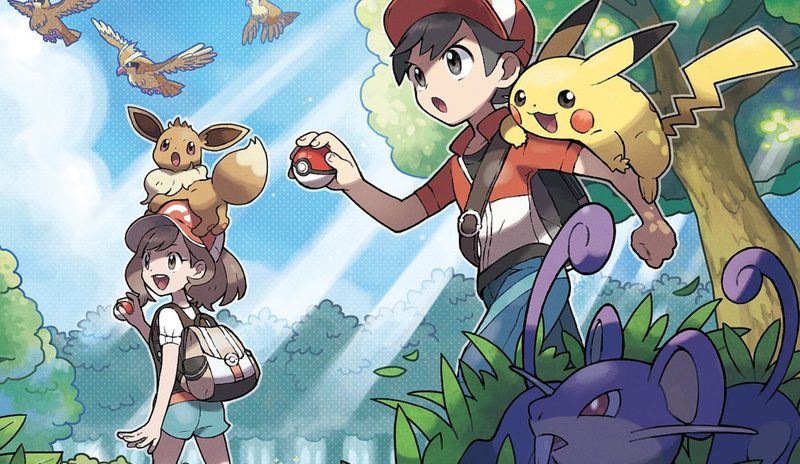 However, the Pokémon phenomenon was always an exception to Nintendo’s struggles with the Russian market, with many residents being familiar with the world and characters after watching the anime. While Pikachu may be the one everyone knows, the behaviour of Nintendo’s Russian branch in relation to Eevee fans is a real head-scratcher. Sounds like a weird choice on the part of retailers in Russia. But it does sound like an issue with retailers. Hm. I'm always buying stuff via dandyland.ru and they don't have this kind of problem. In Soviet Russia, Pikachu chooses you. There was a Russian novel with a Pikachu on the cover by one Victor Pelevin... Google at your own risk. @SmaggTheSmug Yeah, Pelevin is an awful writer. And yes, I've read this book with Pikachu on the cover - it's called "Числа", or "Numbers" in English. I think it's meant to be satirical but in all reality the whole book is just tasteless and vulgar. And the cover is also rediculous. That's a bummer. Well, Mario Party has just risen to the first spot on my to-buy list, then. Of course Eevee's digital sales will rise if people aren't able to buy this version physically. Now I want the Russian version if the subtitles are english. @siouxrunner15 there actually isn't a Russian language version. Just as Gen 7, Let's Go supports Japanese, English, Spanish, French, German, Italian, Korean, and Chinese. You honestly expect me to believe Nintendo would have intentionally restricted it's own sales potential? I doubt that. I'm leaning on poor choice made by retailers. Autocorrect can be cruel sometimes. I betcha the Detective Pikachu movie would be very popular there if that's the case. IIRC isn't Russia pretty PC focused? I didn't think console sales were terribly significant there to begin with, so it's easy to forgive retailers for just assuming nobody cares much. Understandable. Who wouldn't think Pikachu will be much more famous than Eevee. Okay. Well. It's a case of shippping some more, now that the demand is apparent. That's how it goes with physical goods. People ridicule the manufacturer who can't provide enough, and they also ridicule the one that has inventory piling up. For specialty goods like games, hitting the sweet spot can be hard, and correcting a mistake before anyone is upset can be very expensive or straight up impossible. @NEStalgia yeah, most of the people play PC here, but consoles are also popular, especially Sony (as everywhere). But Switch is getting more and more positive reception here, - mostly due to the compatability. Furthermore, Nintendo is really pushing its products here: its stand was the largest during the last Comic Con. @NightBeast Yeah, I know Nintendo's been doing a lot of special bundles and promotions and such there trying to really push it. I just kind of expected the effort would fall about as flat as it did in S. Korea. Ain't nobody is going to pry PCs away from people there. Did they ever officially release Pokémon Red, Blue, Yellow and Gold, Silver, Crystal in Russia? If not, the Russian gamers are missing out on the best Pokémon games. I'm no expert, but why wouldn't you choose Pikachu over Eevee anyway? It' like choosing Batman over Robin. @NEStalgia PC master race sure is strong here. But I actually met a guy with a Switch waiting in line at the hospital the other day. It was a shame I left my Switch at home. Well, he was playing Skyrim anyway and said he didn't like "Japanese fantasy" when I mentioned Xenoblade Cronicles 2. But seriously, if you want Eevee you should get Eevee. Now it seems many Eevee fans will just find Pikachu in their mailbox. However, are there any more changes? Or is this the only change, the Pokemon that follows you around? As a few have said already, this is solely down to retailers. They are the ones that decide how much stock they buy from Nintendo, and they choose how much of each SKU they would like. You could argue that with more education on the product, Eevee orders could have gone up a bit, but to be honest with you, I think Nintendo Russia already had a difficult product to sell because Pokemon Go! was never really a thing in their market. Relying on an anime from the best part of 2 decades ago is not going to fill retailers with confidence and get your big orders... especially not when they have a wide selection of other CORE game titles flying off their shelves already. @Aneira I'd say it's more like choosing Batman over Green Lantern. One is the face of the franchise/universe and basically everyone and their mother knows them. The other one is also popular and worthy of attention, but slightly less mainstream. It's really stupid to lessen stock for one half of the game. I imagine Russian players might have a hard time completing the Pokédex due to version exclusives. I wonder if the Russian version of Let's Go Eevee will be rare and snatched up by scalpers because of this. So its a classical case of certain pokemon on certain versions only? Ok, thanks for the answer!